During the 2017 holiday season LINK served a total of 1628 families (8746 individuals) during the two Holiday Programs. LINK was blessed by the hundreds of volunteers of varying ages who worked tirelessly in November and December to collect food, toys, coats and winter gear, sort them, and help distribute them. These volunteers reached out to help people who live and work in our community and had registered for Holiday assistance. Thousands of individuals received food for 3 – 5 day and $50,335 in grocery gift cards More than 5000 toys were given out and 3000+ coats. We were able to distribute more than 68,000 pounds of food including meat and fresh vegetables to help those who are struggling. LINK would like to thank all of the schools, businesses, churches, scouts, and individuals who helped collect food, toys, and clothing. As soon as we have put together our list of donors, we will officially thank everyone individually. The outpouring of love and compassion by so many is heart-warming. Food – Donations of non-perishable food can be dropped off during the sorting hours listed below at either Christ the Redeemer Catholic Church or Trinity Presbyterian Church. Coats – Donations of new or gently-used winter coats, scarves, mittens, hats can be dropped off at Sterling United Methodist Church from Nov. 12th – 16th, 8:30 am – 8:30 pm, and Nov. 17th from 8:30 am – 1:00 pm. 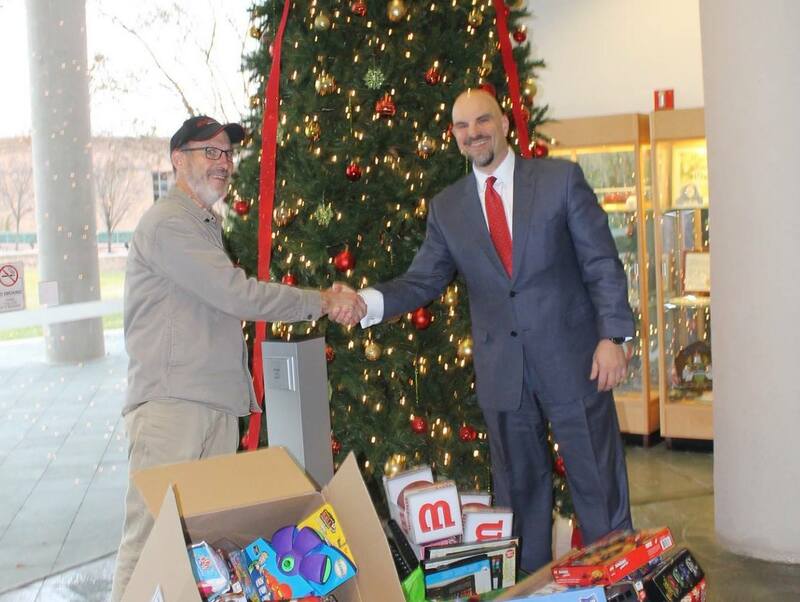 Toys – Donations of new toys can be dropped off at Herndon United Methodist Church from Dec. 10th – 15th, 9 am – 3 pm. Monetary Donations – Donations can be sent to: LINK, PO Box 443, Sterling, VA 20167-0443. If you want the donation dedicated to a certain purpose, please include that in the memo line. Translators Needed – We need volunteers who are bilingual and speak Spanish (teenagers are also welcomed) to volunteer the day of the Holiday Programs (Nov. 17 and Dec. 15). Boxes Needed – we typically need 500 empty boxes for both the November & December basket programs. Boxes should be approximately 18x12x15 in size. They will be loaded with heavy canned goods, so a smaller size box is better. To sign up to REGISTER clients (Oct. 5th and 6th), click here. To sign up to volunteer for Thanksgiving dates (Nov. 12 - 17), click here. To sign up to volunteer for Christmas dates (Dec. 10 – 15), click here. If you need more info regarding volunteering, send an email to president@linkagainsthunger.org.